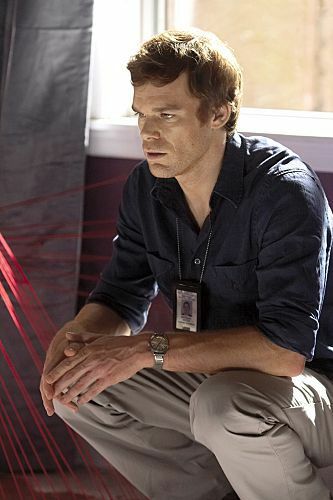 Michael C. Hall as Dexter in 'Dexter' (Season 3, Episode 1). The Prado family and The Skinner take center stage for Dexter season 3. Plus, Dexter becomes a family man. Rita discovers that she is pregnant and they decide to get married. As Rita progresses with wedding plans, Dexter is gone a lot with his new friend, Manuel Prado. Manuel sees Dexter for who he really is and he's not repulsed. Dexter begins to let down his guard with Manuel and they become true friends. At the moment when he almost dies by the hands of George King, Dexter realizes that he really wants to see his son come into the world and he wants to see him grow up. Dexter asks Debra to be his best man and he and Rita marry. Dexter discovers that a sexual predator is watching Astor. According to Harry's code, Dexter can't kill the predator because he is not a killer. Dexter concludes that the code needs to evolve and become his own. He kills the predator. Dexter finds his next kill, a murderous drug dealer who goes by the name Freebo. Dexter accidentally stumbles into a fight between Freebo and a man he later learns is Oscar Prado. Freebo runs away and Dexter kills Oscar in self-defense. Oscar's brother, Assistant District Attorney Miguel Prado, works on the case. Miguel has a history with LaGuerta and they are still close. Dexter finds Freebo and kills him, but Miguel almost catches him. Outside, Dexter tells Miguel that he had to kill Freebo in self defense. Miguel helps him cover up the crime and the two begin hanging out together. Rita enjoys spending time with Miguel's wife, Syl. Miguel puts two and two together when a criminal he was complaining about turns up dead. He wants to work with Dexter to make the city a safer place. Dexter wants to discourage him and so comes up with a plan to have Miguel let a criminal go so that Dexter can kill him. He is shocked when Miguel goes through with the plan. Miguel wants them to kill a tough defense attorney, Ellen Wolf, who is getting in Miguel's way professionally. Dexter says she doesn't fit the code, and when she turns up missing, Dexter suspects Miguel and confirms his suspicions by following the clues left by Miguel. Dexter tries to get leverage on Miguel, but finally comes to the conclusion that he'll have to kill him. Miguel hires his angry brother, Ramon, as a body guard. Dexter's plan is to do it the night of the wedding because Miguel was supposed to be his best man. Dexter notices that LaGuerta is on to Miguel and that she is in danger, so Dexter kills him sooner. Yuki, an Internal Affairs agent, contacts Debra because she wants information on Debra's new partner, Joey Quinn. Debra refuses the many, many requests from Yuki and eventually tells Quinn that he's being investigated. 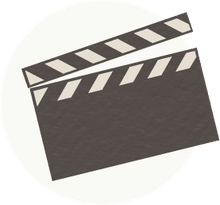 Quinn says that it's personal, but later tells Debra that Yuki was his partner and she never forgave him for knowing about a colleague's drug addiction and trying to help him personally rather than going to their superiors. The man died of a drug overdose. When Dexter first recognizes a victim as Teegan, Freebo's girlfriend, he assumes that Freebo killed her. But, when the killings continue after Dexter kills Freebo, he knows that it is someone else, despite the police department looking for Freebo. The killer is called The Skinner because he removes his victim's skin before he kills them. The department eventually connects George King to the murders and Dexter figures out that he skins people as torture because he wants them to tell him how to find Freebo, who owes him money. The Skinner kidnaps Dexter and ties him to a table. Dexter gets free and kills The Skinner just as the police arrive. Dexter throws him on a police car to make it look like a suicide and then sneaks out a window. While searching for The Skinner, Quinn tells Debra to talk to his confidential informant, Anton Briggs. Debra talks to him several times and they form a romantic relationship. Debra feels guilty about having a relationship with a CI and tells Dexter that their father wouldn't approve. Dexter tells Debra that their father had an affair with a CI. Sergeant Batista recommends Debra for a detective shield and LaGuerta asks her if she'd rather have the shield or Anton, and she chooses Anton. LaGuerta says her personal life should always come first, and gives her the shield. Anton is taken by The Skinner and Debra works overtime until she finds Anton. Dexter, who claims to have no feelings, is always searching for a connection. He thought he'd found that connection in Miguel Prado and began to share his deepest secrets, only to find out that Miguel was manipulating him. Dexter's search for connection continues.